Madhan Karky Vairamuthu is an Indian lyricist, research associate, software engineer, and film dialogue writer. 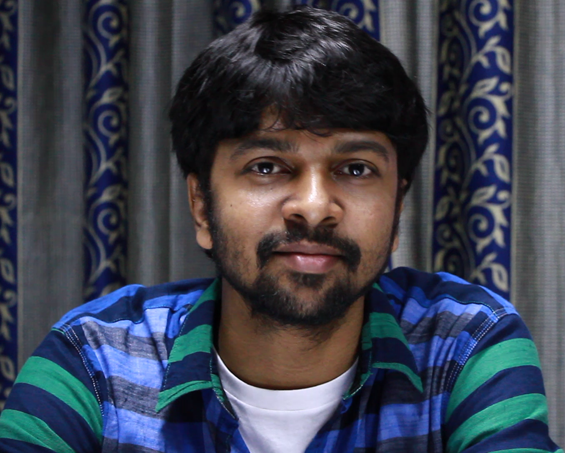 Madhan Karky is the eldest son of notable poet, lyricist Vairamuthu and Ponmani.. He was also an assistant professor of computer science at the College of Engineering, Guindy. Later he resigned from his teaching profession in Jan 2013 and became a full time lyricist, dialogue writer and part time researcher in Karky Research Foundation.